This is a section that will list things like how to make your own devilstick, handsticks, and other devilsticking items. If you have anything to add then be sure to email me. Make your own bi-colored handsticks. Here is a page that describes how to make fire handsticks. Here are some various ideas that I have tried with different types of devilsticks and handsticks. Some of these are recent ideas, some I have had around for years, and some are items I've made to play around with other people's ideas. 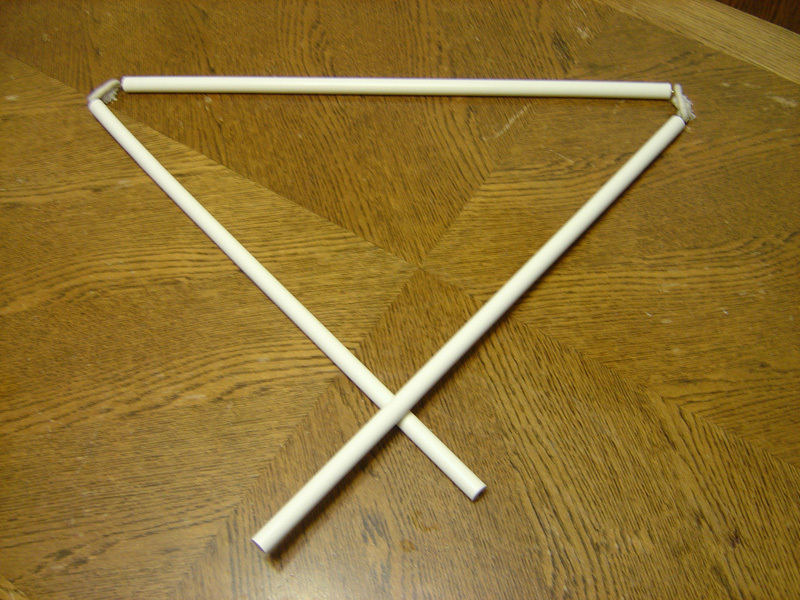 For a long time I have thought about different items that could be used in a devilstick routine. I always thought that doing devilstick with a tennis raquet, broom, juggling club, etc. was always a bit cheesy. There have only been a couple ideas which I have seen that I thought were actually pretty cool. One of them was the excellently themed and executed umbrella devilstick routine by Steve Ragatz). The other was the devil's triangle by Seth Golub. So I started thinking rather than replacing the devilstick with something why not do something with the handsticks. So here are some ideas around that theme. 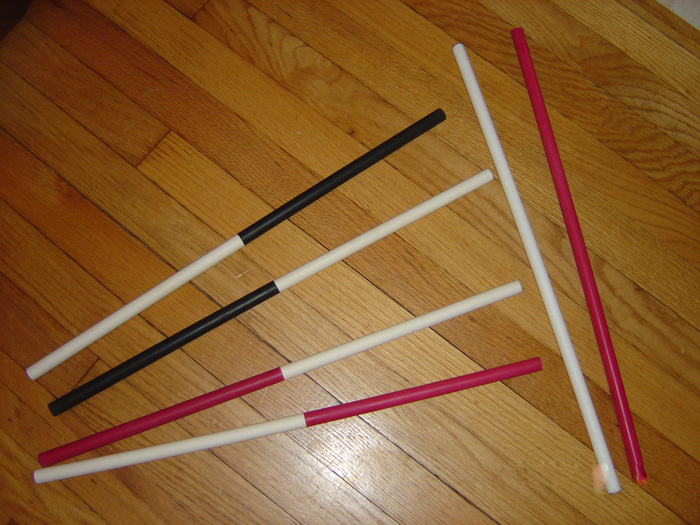 Here is my set of 3 section handsticks that I made from Seth Golub's original idea. I connected mine with some rope which worked fairly well, but didn't allow much twisting of the sticks. List of other devilstick sites on the net with good information and content. Devilsticking.org - Good new site for sharing lots of different information on devilsticks. A list of people (in alphabetical order) I have run across on the net who are interested in, or perform with the devilstick. Olivier Caignart - Some good videos at his site. Markus Furtner Devilstick performer that does amazing stuff with two devilsticks. Todd Strong - author of "The DevilStick Book"
Henning Wiescher - Check out Henning's site (in German). Some nice animations of him doing devilsticking. Also has him doing two devilsticks. You can try checking out the site through a web based translation. Email me if you have a web page and want to be added to the list. Back to Devilstick.org home page.